Below you fill find all funeral homes and cemeteries in or near Bourbonnais. 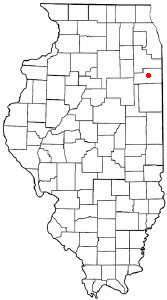 Bourbonnais is also known as: Kankakee County / Bourbonnais village. Zip codes in the city: 60914. Kankakee County funeral flowers can be purchased from one of the local funeral shops we partner with. Bourbonnais (pronounced /bʊərboʊˈneɪ/ or /bɜrˈboʊnɪs/) is a village in Kankakee County, Illinois, United States. The population was 15,256 at the 2000 census, but had grown to 18,631 in for the 2010 census. It is part of the Kankakee-Bourbonnais-Bradley Metropolitan Statistical Area and the Chicago–Naperville–Michigan City, IL-IN-WI Combined Statistical Area. It was revealed by Cincinnati Enquirer and Cincinnati Post on March 20th, 2018 that Marguerite Francis Senesac died in Cincinnati, Ohio. Senesac was 102 years old and was born in Bourbonnais, IL. Send flowers to express your sorrow and honor Marguerite Francis's life. It was written by Chicago Tribune on August 20th, 2017 that Raelinn Dr Spiekhout passed away in Bourbonnais, Illinois. Spiekhout was 45 years old. Send flowers to share your condolences and honor Raelinn Dr's life. It was disclosed by Chicago Tribune on June 1st, 2017 that Patrick W Simmons died in Bourbonnais, Illinois. Simmons was 84 years old. Send flowers to express your sorrow and honor Patrick W's life. It was revealed by Lincoln Courier on December 30th, 2016 that Susan J Semlow (Hostetter) died in Bourbonnais, Illinois. Ms. Semlow was 75 years old. Send flowers to express your sympathy and honor Susan J's life. It was revealed by Chicago Tribune on December 2nd, 2016 that Brenda Schmitt died in Bourbonnais, Illinois. Schmitt was 76 years old. Send flowers to express your sympathy and honor Brenda's life. It was revealed on August 24th, 2016 that John Kyle Lunsford passed on in Silver Spring, Maryland. Lunsford was 72 years old and was born in Bourbonnais, IL. Send flowers to express your sorrow and honor John Kyle's life. It was noted by Chicago Tribune on June 23rd, 2016 that George W See passed away in Bourbonnais, Illinois. See was 71 years old. Send flowers to express your sorrow and honor George W's life. It was noted by Peoria Journal Star on December 7th, 2015 that Wayne F Zimmer passed on in Bourbonnais, Illinois. Zimmer was 74 years old. Send flowers to express your sympathy and honor Wayne F's life. It was written on July 17th, 2015 that Greg Bush passed on in Bourbonnais, Illinois. Bush was 43 years old. Send flowers to express your sorrow and honor Greg's life. It was revealed on May 17th, 2015 that Ann Panella Schima (Distefano) perished in Bourbonnais, Illinois. Ms. Schima was 90 years old and was born in Canton, OH. Send flowers to express your sympathy and honor Ann Panella's life. The population was 15,256 at the 2000 census. Bourbonnais is a village in Kankakee County, Illinois County, Illinois, United States. It is part of the Kankakee, Illinois Illinois Metropolitan Statistical Area and the Chicago, Illinois Illinois City, Indiana City, IL-Indiana Chicago-Naperville-Michigan City, IL-IN-WI CSA Statistical Area. . . The official website for the city of Bourbonnais is http://www.villageofbourbonnais.com/. Listing all funeral homes in Bourbonnais, Illinois so you can easily send flowers to any location (same day delivery) or find any funeral service. Find crematories & Crematories in Bourbonnais, IL. Read business reviews, find driving directions, and more. crematories on YELLOWPAGES.COM. We work with local florists and flower shops to offer same day delivery. You will find budget sympathy flowers in Bourbonnais here. Our funeral flowers are cheap in price but not in value.